UK - London - Uk, Uncut street party outside Deputy Prime Minster Nick Clegg's house. 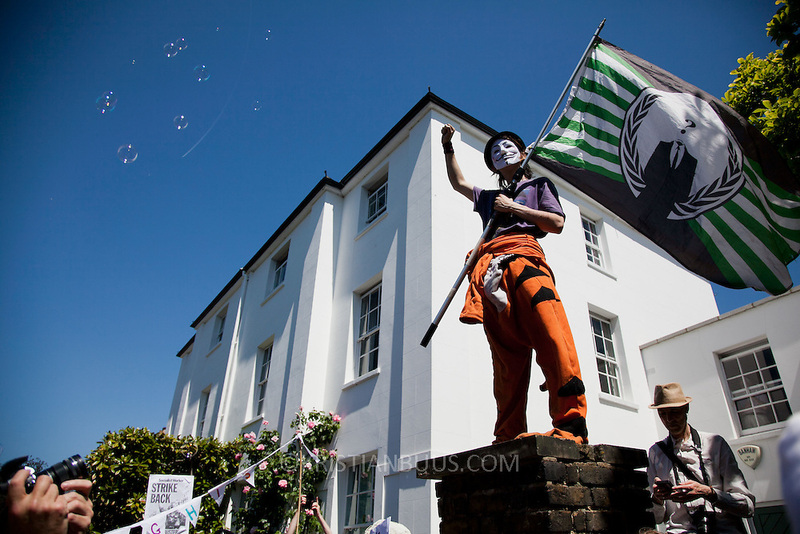 UK Uncut holding their own Mother of all street Parties outside Deputy Prime Minister Nick Clegg's house in Putney. After initial scuffles with police the party was allowed to go on.